The ICT4DMZ project is now running quite a while and after three amazing weeks in Maputo we are one big step further to reach our goals. 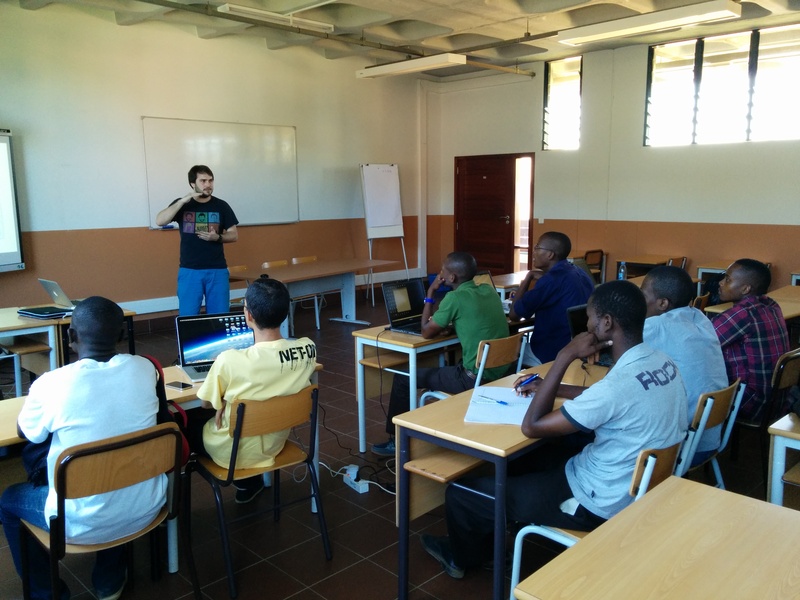 Philipp and I (Paul Spiesberger) tried to bring the students of the Universidade Eduardo Mondlane (UEM) in Maputo on the right track. The goal of this project is to create a website which can handle complaints about a company or a product. It should gather information or feedback and help to improve their services. Philipp started with a short tutorial about the PlayFramework and helped to set everything up. After that he assisted with his expertise as much as he could. The other group is working on an Android app for students to find POI like lecture rooms, Wifi hotspots or public power plugs at the UEM campus. I started to teach them the basics of Android programming and helped them to set up the project. Since Java programming and developing for Android are quite different, it took a little bit longer to write the first line of code. I tried to explain step by step the important parts and assisted as much as I could. In total we worked about 27 hours in three weeks with the students. We had some troubles finding the right time slots for all students, since they had different time schedules during their weeks. 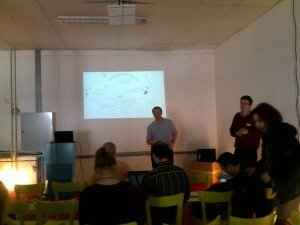 Especially at the beginning we did some workshops twice, so no one missed the introductions to the technologies. After that, not all students attended to our workshops all the time, but we were never alone. From now on, we will assist via Skype and e-mail remotely from Austria. We have a good feeling for the outgoing of the projects and hopefully the students keep engaged in the next months as they were during our workshops. 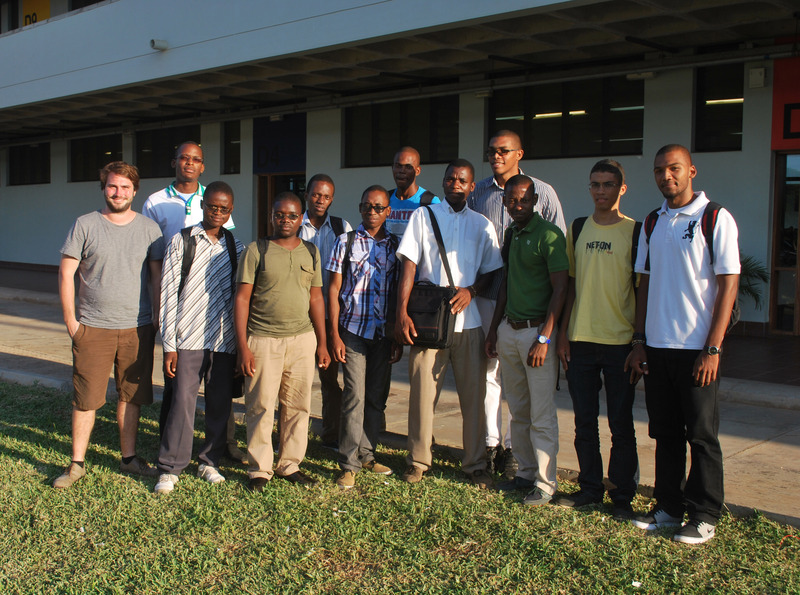 During our stay we also helped the UEM to use Moodle for a first test run. We hope that in the future this modern way of IT supported teaching will be expanded to other lectures and faculties to strengthen the teaching abilities at the UEM. In addition Philipp and I were working hard on our master thesis. 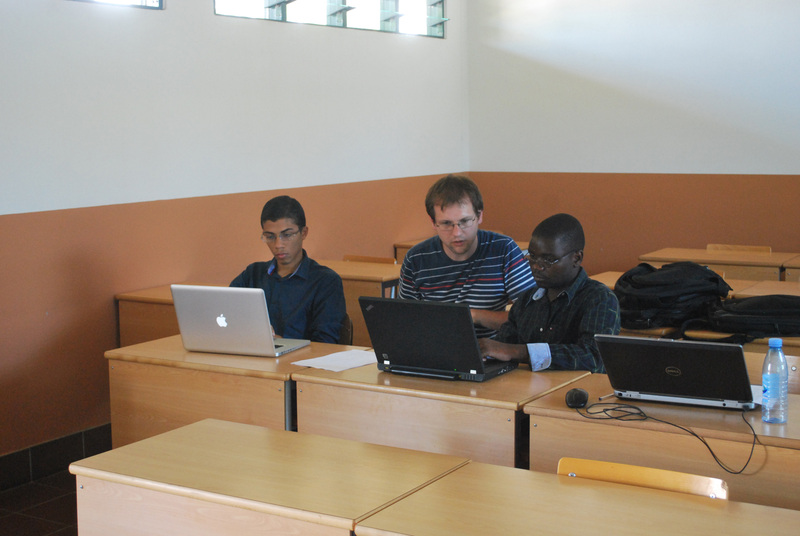 Philipp is doing research on big data for emerging countries and for that he conducted some expert interviews. 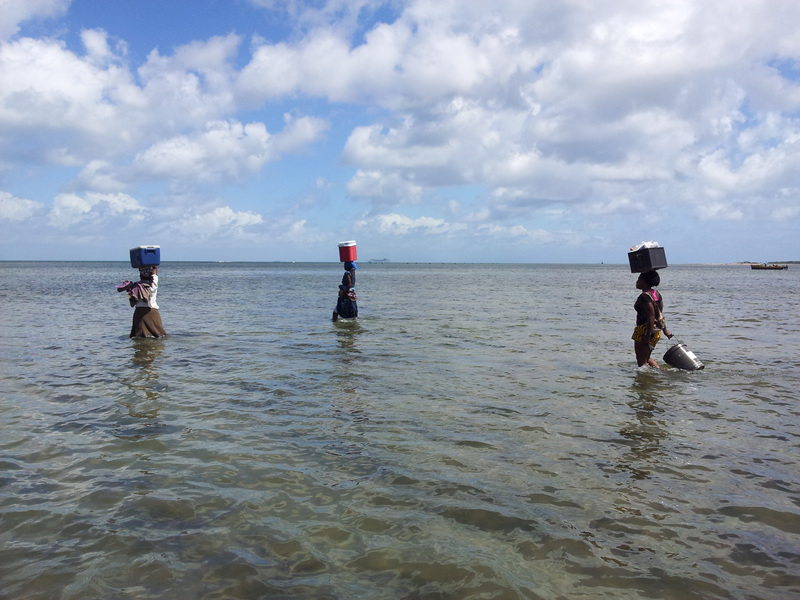 I am interested in user interface design for mobile devices in emerging countries like Mozambique. So I did a survey with students to find out their mobile phone usage and habits. Of course we also found time to travel and to take a look at this beautiful country. When you talk to people in Mozambique, experience the beautiful landscape and take the time to look behind the curtain, then you get the feeling that this country is moving fast forward. The question is in which direction. The currently discovered massive resources (minerals, oil, gas) can have a positive or a negative impact to the society. There is also a new party growing really fast and it is gaining more and more influence. In the last few months the country was almost slipping into a new civil war. But one week before we arrived, they managed to find a compromise and elections are going to happen in the future. But I think that despite the fact of great poverty, corruption and the lack of education, Mozambique has the ability to find the way to a great and rich future. Last but not least I would like to say thank you to Emilio Mosse and Andrei Shindyapin. We are lucky to have this partner and friends in Maputo, who are willing to share their valuable time and love with us. Also a big thank you to the students for their great effort and time! Philipp and I are excited to continue the work and we are looking forward to meeting our friends in Maputo again. Notes from the first Lift @ Austria conference from 19. to 20. March 2010 in Vienna, Austria. Information on all the groups and speakers can be found at the Lift @ Austria conference program page. Abstracts of all talks can be read at the Lift @ Austria speakers page. Pictures of the speaker are either shot by myself or taken from the website of the conference. 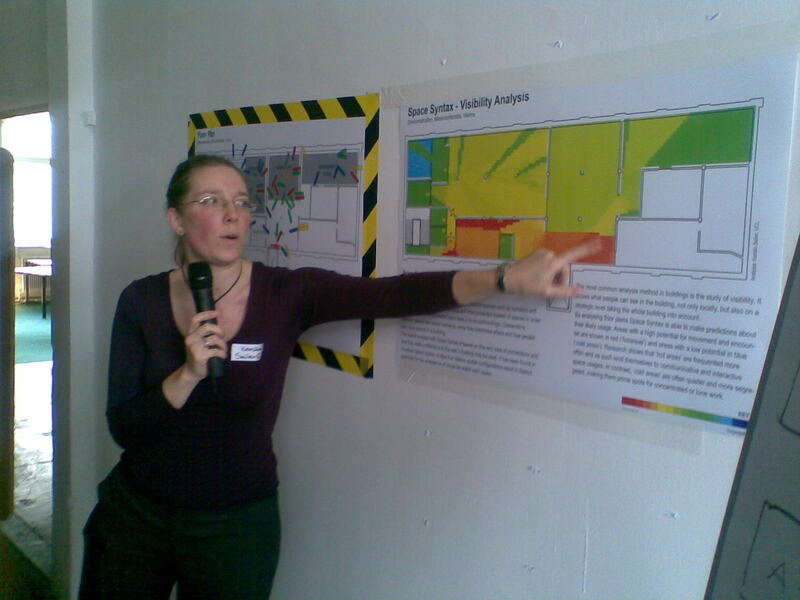 After the workshop before noon on the second day the posters were exhibited and Kerstin Sailer presented the results of an analyze of the conference space which she carried out with the help of all participants during the conference. Any optimization ideas how to get more new ideas? Did you do this in a permanent setting? After the first day of the Lift @ Austria conference (Lift @ Austria – day 1, part 1 & Lift @ Austria – day 1, part 2), the second day was also dedicated to discussions in small groups initiated by two short impulse talks. 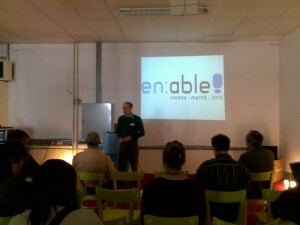 I joined the group on Enabling Ambiences meet Enabling Metamorphoses. Information on all the groups and speakers can be found at the Lift @ Austria conference program page. Abstracts of all talks can be read at the Lift @ Austria speakers page. After the framing talks (LIFT @ Austria, day 1 – part 1) and a delicious lunch, the participants of Lift @ Austria conference split in three groups to discuss certain aspects of “enabling” in depth. I joined the group on Enabling Structures meet Enabling Metamorphoses. The workshops were initiated by two short impulse talks. Information on all the groups and speakers can be found at the Lift @ Austria conference program page. Abstracts of all talks can be read at the Lift @ Austria speakers page. Hard to measure social impact – one approach: is it scalable? After a bus tour through various enabling and open spaces in Vienna at the day preceding the conference (detailed program at Lift @ Austria program page), the first day of the regular Lift @ Austria conference started with five framing talks to give impulses for thoughts and discussion about the topic “enable”. The abstracts of all these talks can be read at the Lift @ Austria speakers page. From coming Thursday to Saturday a local version (Lift @ home) of the Lift conference will take place in Vienna. The theme is “Enable! Profound Innovation in Society, Economy & Knowledge”. Mechanistic models and a deterministic worldview may have worked well for the last centuries, but are not apt for the upcoming challenges we are facing today. Rather, we need completely different concepts and attitudes, accepting that the underlying processes escape our control and are unpredictable. It seems that the concept of “Enabling” is the key to this shift of thinking. Enabling is the art of carefully configuring adequate levers (physical space, networks, resources, etc.) that best support specific innovation processes, such as idea generation, prototyping, market entry, etc.. I think ICT4D, with “empowerment” as one of its big goals fits in here really perfect and I’m particularly looking forward to hear more from Franz Nahrada’s project GIVE where he linked up several villages around the globe with visions gathering around ecology and sustainability to share experiences with each other. Also I’m really curious to find our about amazing and innovative projects around Vienna I haven’t known about to share experiences and network with. If you want to follow the conference on Twitter, watch out for the hashtag #enable. 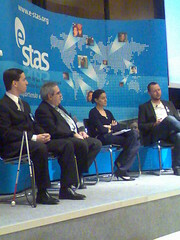 Today was the first day of e-STAS Symposium on Technologies for Social Action. I arrived yesterday here in Malaga and was picked up from the airport and brought to the hotel where all the speakers are staying. In the evening we started socializing and I was introduced (in the real world) to Ken Banks, Christian Kreutz, Jack Dorsey just to name a few of all the interesting people. We had kind of an informal dinner and discussed the actions and topics for day 1 of e-STAS. Today we got up quite early and a bus took us to the venue. We got our name tags and the publication where a saw our article “ICTs for the empowerment of citizens” printed on paper. Very nice. The only missing piece was a workshop, where all the people split into groups and were trying to find a definition for the term “Empowerment”. I was apointed to be the moderator of the bunch of all English speaking guys and we brought up a lot of issues. This will be covered by a separate blog post ASAP. I was also participating in a round table on Empowerment (see Ismaels link above and the picture) with BÃ¡rbara Navarro, Google.es, Luis MillÃ¡n VÃ¡zquez, FUNDECYT and expert at UN-GAID and Fernando Bothelo, Literacy Bridge which was moderated by Idelfonso Mayorgas. Everybody was introduced and had a 2 minutes pitch before we got into medias res. I was the only one speaking English, so I had to stick to my headset with the transation. We brought up our visions and sights on empowerment and I tried to put the focus on the developing world and proposed that we have to educate the people there and let them empower themself. A second topic was cloud computing, where I brought up the lack of computing power and storage capability of mobile devices which are so much growing and cloud computing as a natural result of this. I said that there is open source software for building a cloud system and everybody is able to build it’s own cloud and sticking to e.g. Google is in the long run just a matter of cost (big clouds shoud be cheaper). Another argument we had was on the “information / knowledge / innovation society” which was put into the spotlight by Luis. I said: The problem with this is, that all the information and knowledge is mostly available in written form and in English, so all the illiterate people are not part of it, so it is matter of accessibility. But I insisted later, that this is just a matter of time and the problem should be solved sooner or later. I will get the video of the round table tomorrow and will push it on youtube. As I am basically finished writing my Master thesis (hopefully my supervisor thinks like that too), I would like to introduce some papers that I found interesting and insightful. 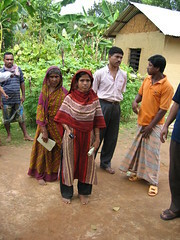 This first on is “Village Pay Phones and Poverty Reduction: Insights from a Grameen Bank Initiative in Bangladesh” and is actually a classic.Â It was written by Abdul Bayes (Professor of Economics, Jahangimagar University, Dhaka, Bangladesh), Joachim von Braun (Director at the Center for Development Research, Bonn, Germany) and Rasheda Akhter (Researcher, Jahangirnagar University, Dhaka, Bangladesh) in 1999 for the Center for Development Research (ZEF) in Bonn. I deals with the impact of the Village Pay Phone project of the Grameen Bank on the social and economic situation in the villages in Bangladesh where the project was implemented. Mobile phone operators entered the market some years ago and leapfrogged the fixed-line subscriptions almost immediately. The reason for this was also the competition between seven operators. So overall it can be said, that the whole project was a big success story and this guy has really earned his Nobel Prize. For the whole article I may refer to Google Scholar.